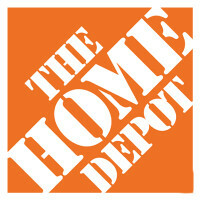 The Home Depot is the world’s largest home improvement retailer. The company empowers customers and contractors by introducing the DIY concept. You’ll find everything from easy-to-assemble shelves, cabinets, screws, and even user-friendly tools. The Home Depot was founded in 1978 by Bernie Marcus and Arthur Blank. The first two stores opened in June 1979 in Georgia, Atlanta. It was largest hardware store with over 25,000 products and 60,000 square feet warehouses. There are more than 35,000 in-store products and 1 million online products available. It has over 2,200 sites across North America, Canada, and Mexico and more than 400,000 associates. To give back to the community, Home Depot Volunteers transformed 34,500 veteran homes in the US. The Home Depot offers comprehensive health benefits, insurance plan, pet assistance, adoption assistance, commuter benefits and employee discounts. An Employee Assistance Program is also available to all employees in case of calamities and financial assistance. Based on online reviews, the employees may experience a difficult environment due to the challenging warehouse conditions, such as cramped spaces, warm temperature in the stockrooms, and heavy equipment or packages. However, the conditions are workable and they receive positive encouragement from the management. How old do you have to be to work at The Home Depot? The Home Depot requires applicants to be 18 years or older due to the warehouse conditions. The company adheres to the Fair Labor Standards Act to ensure safe and secure working conditions, manageable working hours, and competitive wages. The Home Depot gives equal opportunities to all and ensures that all associates work in a fun, caring, and unique environment. The Home Depot sees its associates as the “Fabric” or the “thread that ties us together” and encourages diversity. The company offers job opportunities to the military and their spouses, veterans, persons with disabilities, and foreign nationals. Customer Service / Sales – The customer service and sales staff are the front-liners. Your role will be to actively engage the customers and make sure that their needs are met. You should demonstrate expert product knowledge to deliver fast, friendly, and exceptional service. Customer service and sales staff operate in-store and via phone calls. Store Support and Lot Jobs – At Home Depot, not only do you assist them in-store but the services extend beyond the doors. Store support help customers load their products into the vehicles, assist customers with shopping carts, and even monitor their safety in the parking lots. The staff ensures that all customers will have a stress-free shopping experience. Freight or Receiving Jobs – The role requires you to make sure that the shelves are stocked with high-quality and updated items. They also make sure that the products are received and delivered to customers promptly and with no damages. Merchandising – Merchandisers develops solutions and execute strategies to create signage and displays that entice the customers to buy. The displays are planned so that customers will easily find what they need as well as relevant items that they may need. They are also responsible for changing the store displays depending on the season. Cashier Jobs – Cashiers are required to be fast, friendly and accurate in processing checkouts and returns. You are required to perform accuracy in handling cash. You should also work with integrity and make sure that customers get exact change. They also need to know when and how to up-sell to customers. Human Resources – Join the Human Resource team as a recruitment specialist, talent acquisition marketing, or sourcing partner. The role is to ensure that there are enough employees in a store and that all are qualified and given fair benefits. Their goal is to ensure a steady influx of associates and other employees that deliver excellent service according to The Home Depot’s goals and values. Finance / Accounting – You could be a financial analyst, product management manager, or an intern decision analyst. The finance team collates economic and financial data, analyzes internal and external sales issues, and prepares reports or graphs that are essential to business decisions. Social Media – Be a social media marketing specialist and create campaigns, improve or create brand collaterals, and come up with sales copies to invite more consumers. Manage websites, social media platforms, perform analytics, and create social media strategies. Your goal is to drive traffic not only to the websites but to the physical stores. Information Technology – Become a software engineer, an IT specialist or project manager. Ensure that all online stores are working efficiently and transactions are processed securely. Look out for bugs and other software-related issues. Keep the system updated and stress-free for both employees and customers. Communications – Be part of the corporate communications team and plan events, organize fundraisers, develop and implement regular communications both internal and external and create a strong relationship with employees and customers. The Home Depot encourages people from all walks of life to join our company. Veterans, people with disabilities, and other races are welcome. Diversity is one of the main values of the company. Browse through The Home Depot’s career website and search for jobs according to job title, department, and location. Applications are available via the website or LinkedIn. You can also walk-in on a store and submit a copy of your resume. Once you have chosen your preferred job, make sure that you meet all the requirements. It is recommended that you create an account and sign in for easy applications. You also have the option of receiving job alerts via email. When preparing your resume, make sure that you list down your most recent work experiences down to the first job. Make a list of all the job responsibilities in bullet points. The whole application process can take up to two weeks. You can apply in multiple job posts provided that you meet the qualifications and you are within the area. More than one interview may be required depending on the job. The Home Depot is known for being the largest DIY warehouse store. It has a commitment to the community and honors veterans, provides disaster relief, and donates to multiple organizations. The Home Depot values the community and encourages cultural diversity. 1 How old do you have to be to work at The Home Depot?